Supplejack (flagellaria indica) is a climbing vine found along waterways and within rainforest in Northern Australia. It’s easy to identify by its grass like leaves tipped with curling tendrils that it uses for climbing. Tiny cream coloured flower heads or clusters of small berries are produced at various times of the year. Young leaves, shoots and terminal buds can be eaten cooked or raw as a vegetable. Although stringy and fibrous and sometimes bitter, they have a flavour similar to cabbage or spinach. The centre of the terminal bud is often the most tender, but is only small. 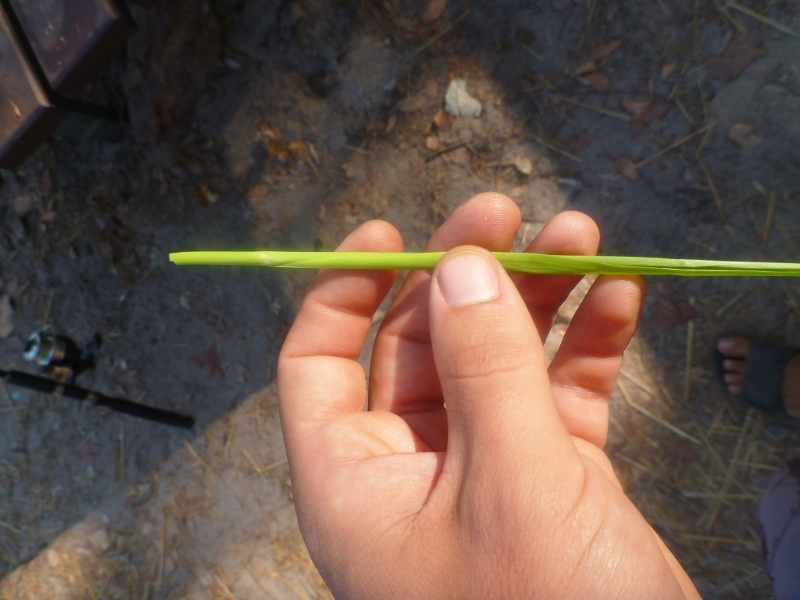 To access, pull out the final central leaf at the tip of the stem and eat the base of that leaf. Some sources indicate supplejack was used medicinally in small quantities as a treatment for sore throats and chest complaints, with larger portions being poisonous. I’ve eaten small amounts without any effect. It’s pretty common so I often try it whilst walking around. Supplejack can be used as strapping or crude bush string. 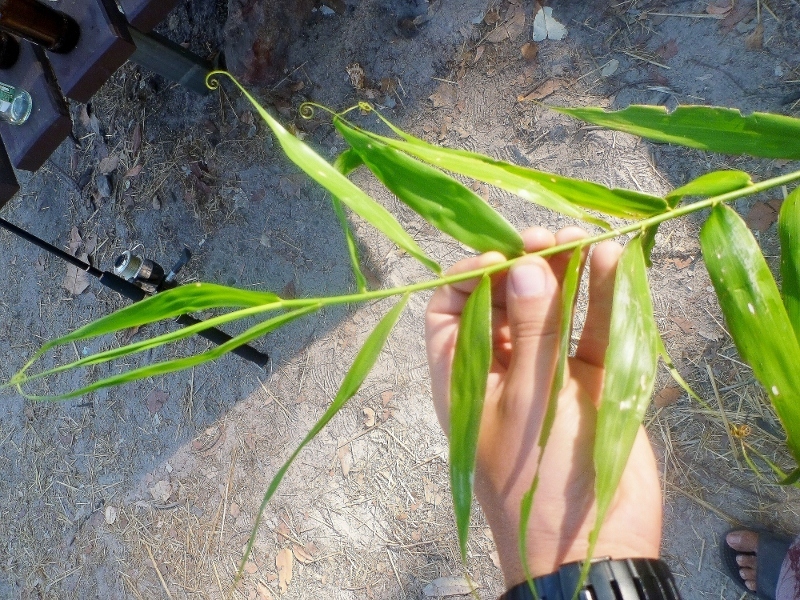 The main stem is cane like, strong and flexible. Some might say supple.